Stoney’s Unique Geek Boutique Review | The Arcade Archives! 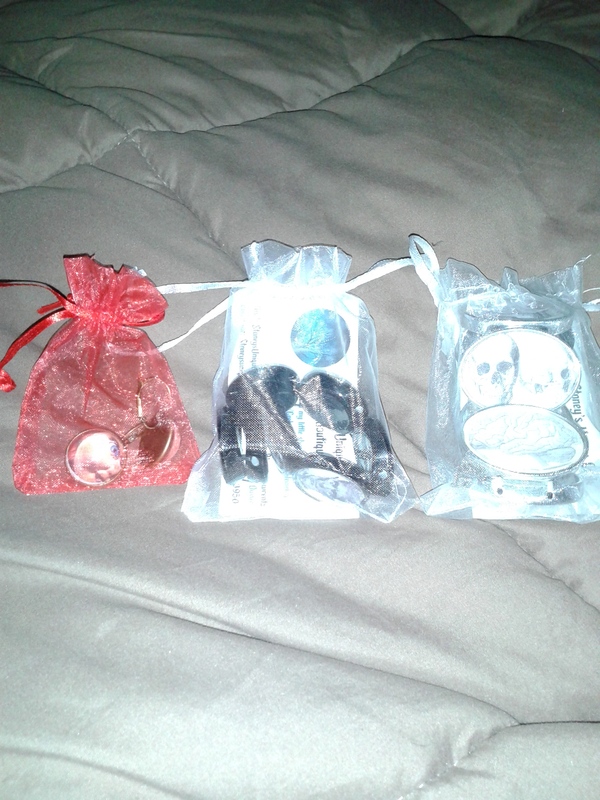 I received three delightful little bundles in the mail from Stoney’s Unique Geek Boutique! I couldn’t wait to see what was inside. But before I get to that let me tell you, Stoney truly cares about the way her items arrive to you, they were wonderfully packaged. There was plenty of bubble wrap to ensure they arrived undamaged. 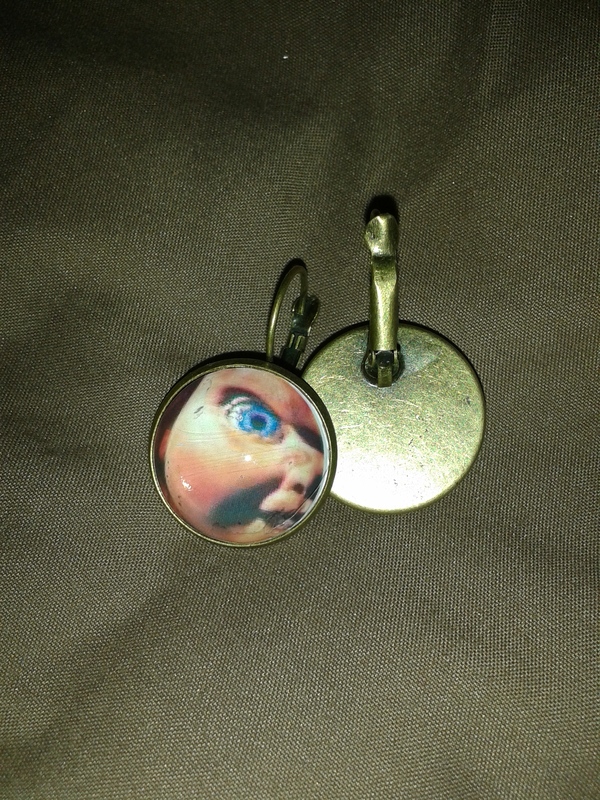 I started with the little red pouch, inside I found these delightful Chucky earrings. A girly squeal may have taken place. For those of you that don’t know, Brad Dourif the actor that voices Chuck is going to be at Spooky Empire’s May-Hem, next month! He is on my meet and greet list! 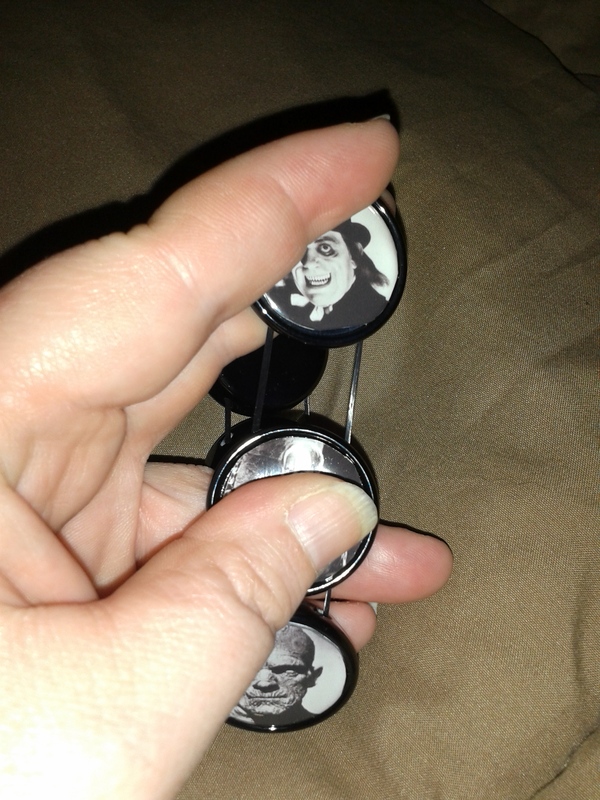 I will be wearing these earrings. Not only is the photo of Chucky very clear but they are also very well. made. 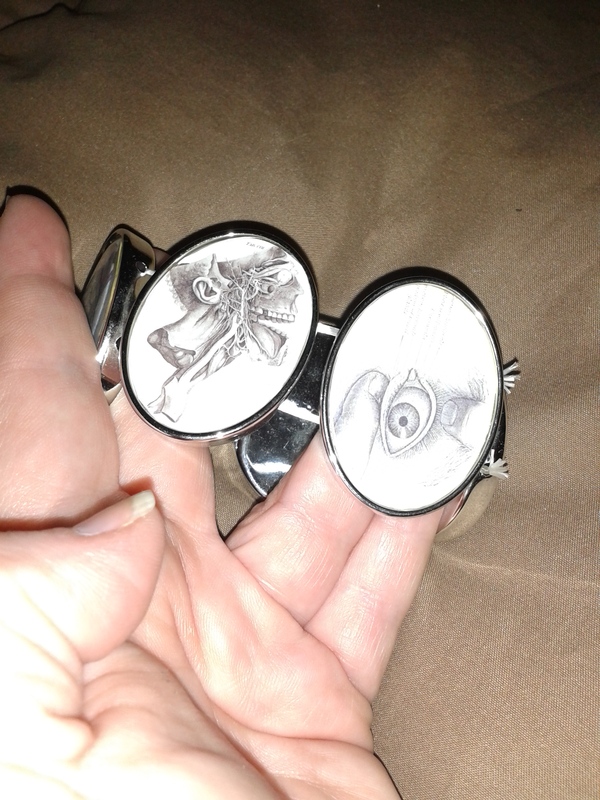 I wanted to show you that these earrings are hinged back so you don’t have to worry about losing a back or then falling out. 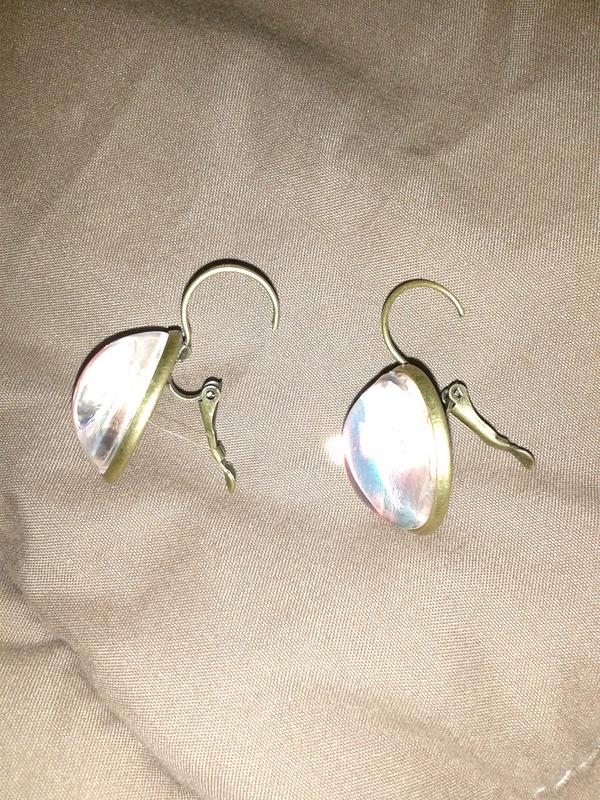 These earrings fit nicely to your ear so they sit the way they should without gaping. 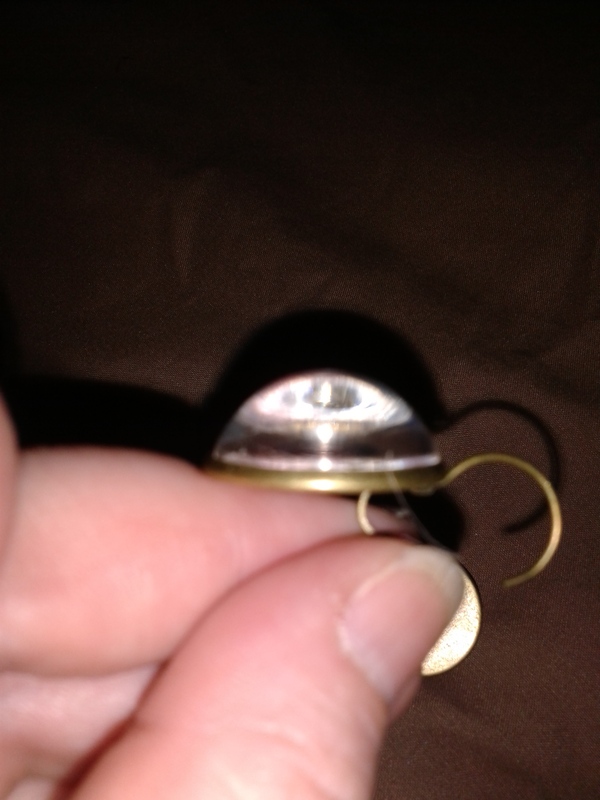 I really like the way they are domed, this makes the earrings have more depth. Your not looking at flat one dimensional earring. I like that this gives you a bit of depth. They are also wonderfully horror but at the same time they aren’t over the top with gore that you can’t wear them anytime. 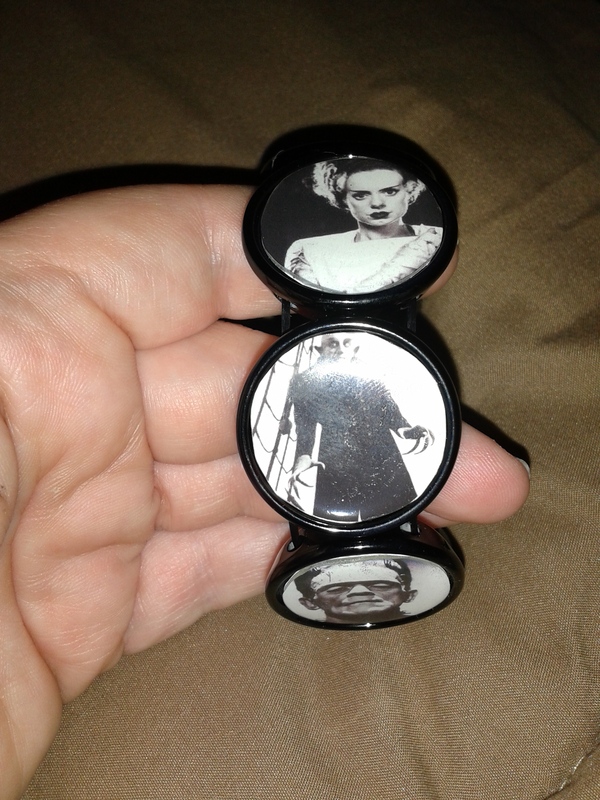 The second little bundle had this amazing Universal Movie Monster bracelet. The black and white photos with the black casing work beautifully. The photos are very clear and they stand out. 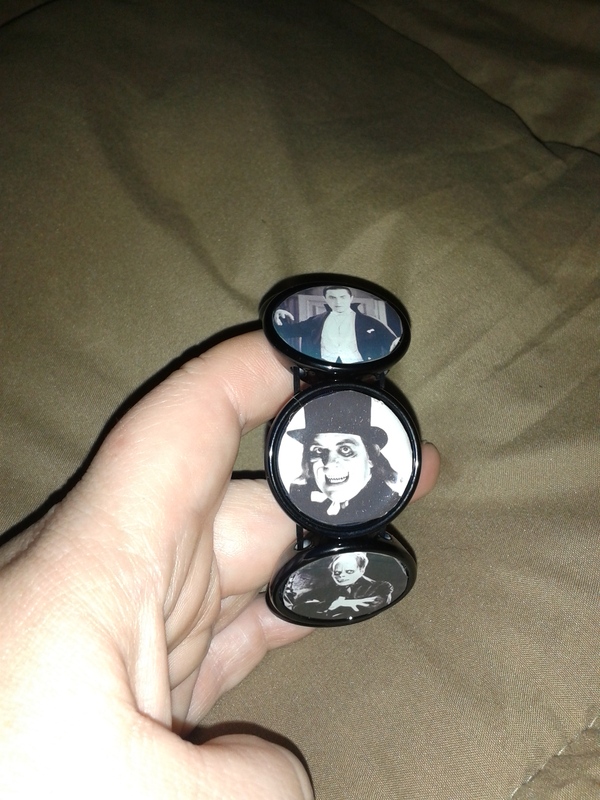 Being a fan of a lot of old school movies this is an epic bracelet for someone like me. 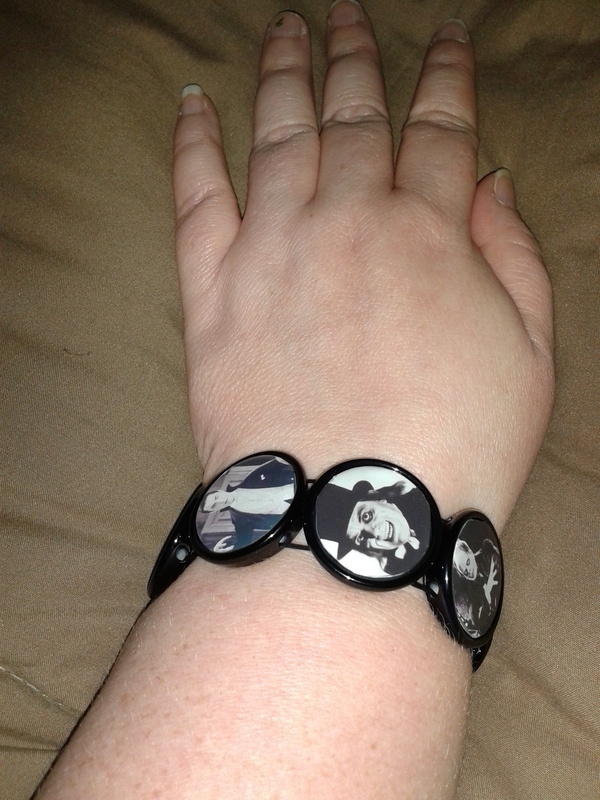 I tried to get a photo of everyone on the bracelet. 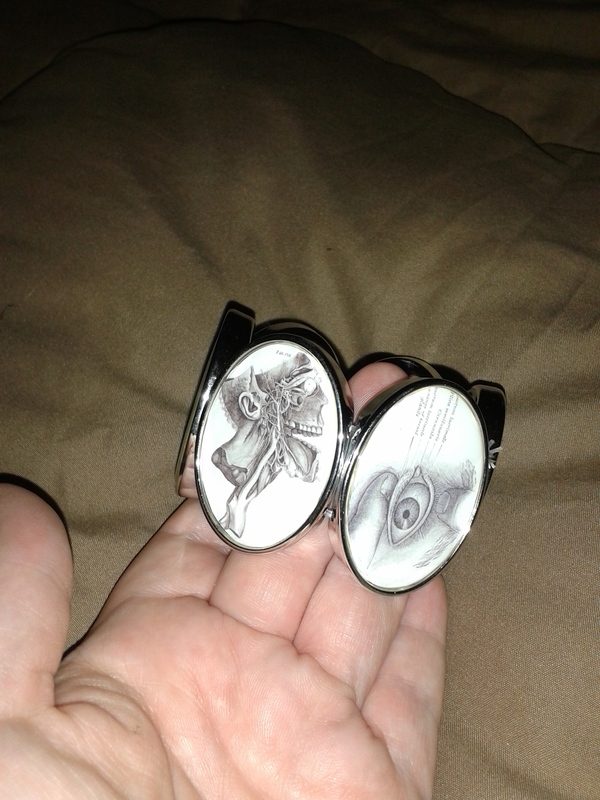 It is very nicely constructed all the images fit the way they should and there isn’t any extra adhesive on the bracelet. It might as well have been constructed by magic because your not going to find a flaw with this bracelet. The bracelet is held together by elastic cording. As you can see in the first photo is does have a good amount of stretch to it. I am always concerned with bracelets because I have bigger wrists. This one wasn’t a problem for me at all. 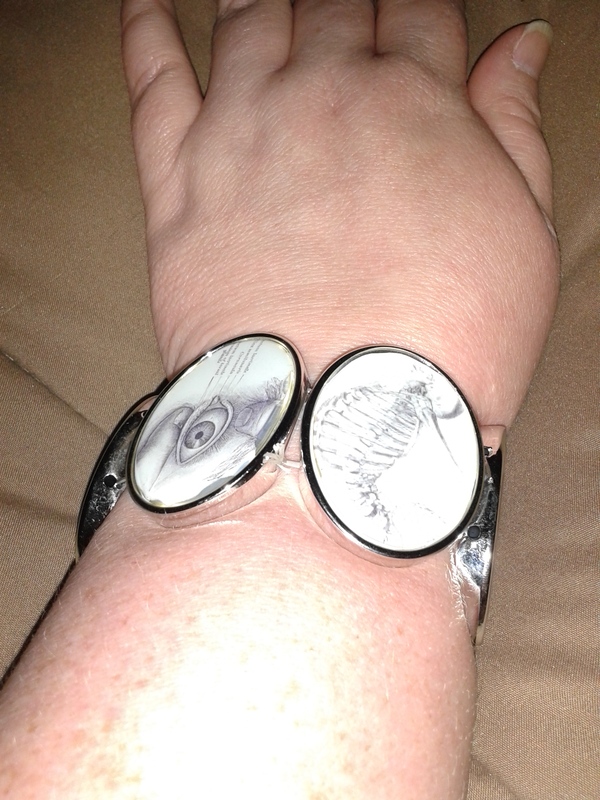 It not only fit my bigger wrist but it fit comfortably. The third bundle had another style of bracelet which is breath takingly stunning. Stoney has this listed as “Vintage Medical Grey’s Anatomy”.I know some people think anything medical related is a little gross but this makes my little forensic students heart dance with glee. Although I did have a bit of trouble photographing this one, I can tell you non of the photos really do the pieces justice. I love that this is basic black and white with a silver bracelet. It blends together nicely with out the photos being overwhelmed. This one is a bit bigger then the other bracelet, so this piece will stand out. As you can see it is constructed with the same cording as the other but this time it’s a white one. 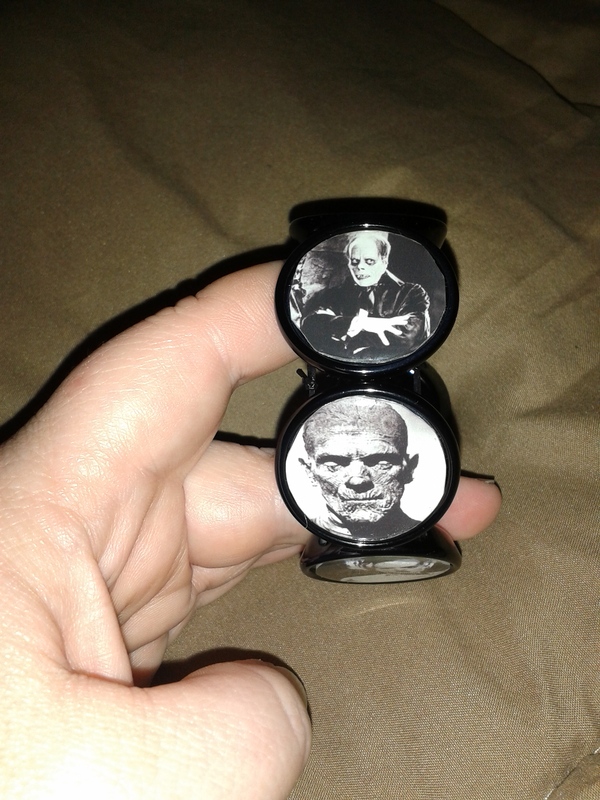 I also wanted you to see how this one fits compared to the other, it is a bit larger. 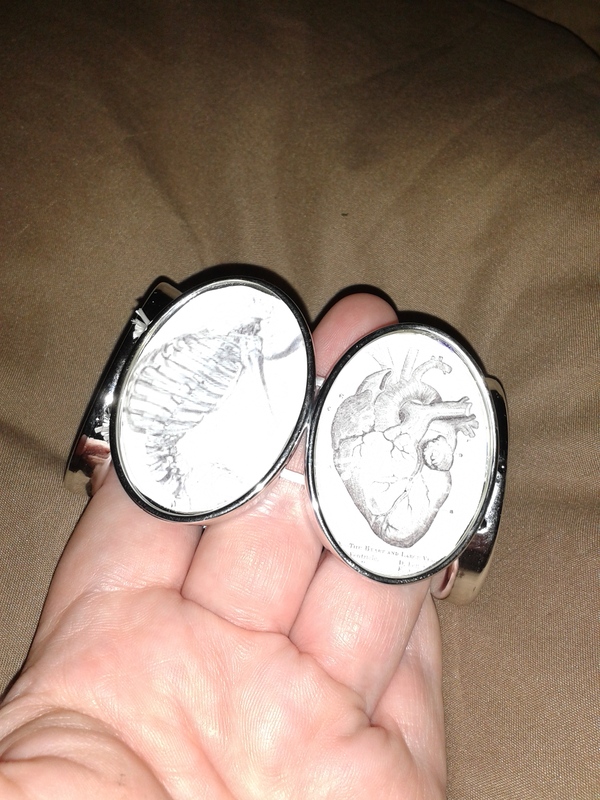 All of Stoney’s jewelry designs are fabulous. 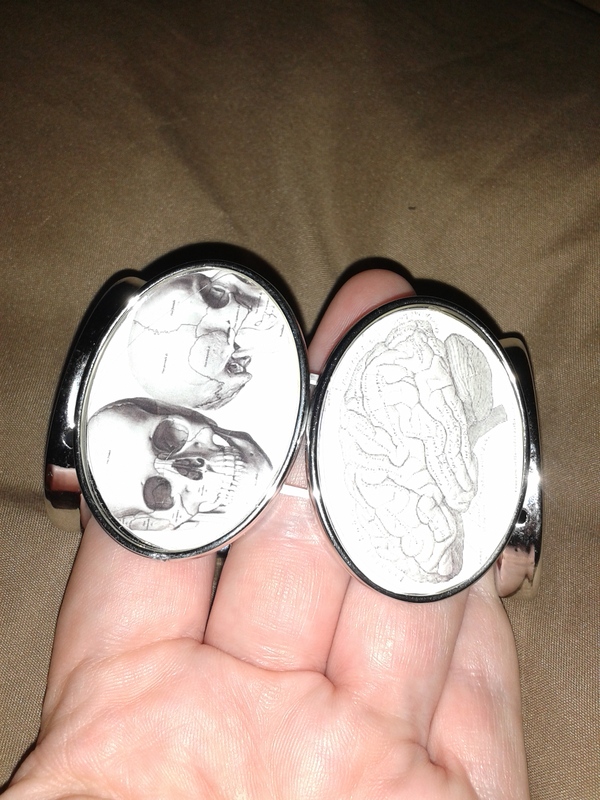 If horror or vintage medical aren’t really your cup of tea, no problem. There are plenty of other items to choose from, such as Star Trek or Pokemon or Alice in Wonderland just to name a few.